Here we go again, I thought to myself. It was my first day working at Pass the Keys, and my boss was explaining to me the company’s vision, mission, and core values. I had heard similar spiels before at my previous internships, and I’ve never particularly cared about them since these “core values” always seemed to be nothing more than words stuck on a wall. It wasn’t until I saw these values in action that I began to comprehend the power of core values. Every month, we have management meetings where each department updates the company on what they’ve been up to. Towards the end of my first meeting, our CEO told us we’d be doing value nominations, where essentially we’d nominate other co-workers for living up to our core values. I had never done anything like this before. As I listened to countless occasions of co-workers emulating our six core values, my skepticism about core values began to fade. I definitely wasn’t preaching about how amazing core values were right after this meeting, but I was willing to give them a try. At first, it was a few people here and there. Then, it was everyone doing their part in making Pass the Keys a better company each and every week. To preface this, I get notified by email whenever there’s a new review, and I swear my email was getting blown up by countless five-star reviews that satisfied customers were writing. I was actually shocked by how positive some of these reviews were and wondered how we were doing this. It wasn’t until I realised why we had these core values that I understood how everyone was doing so well. By having a set of established core values, we were able to make better decisions, hire better people, and create a company culture that we were proud to be a part of. It was this attitude about our core values that made our customers happy to work with us. After all, these core values are a big part of why we do what we do as a company. This why is what allows us to create opportunities in every corner of the world, for our hosts, our guests, and our people. Without them, we would just be another company trying to make a profit without any regard for our customers. Our vision gave us a direction to move in, but it was our core values that allowed us to take the steps necessary towards accomplishing that goal. By defining a set of core values to stand by, we made decision-making easier across the entire company. Every difficult choice could be held up to these values, and we would be able to identify the “correct” decision much more efficiently. As I realized all of this, I was drawn into the company culture and started to believe in and embody these core values. It happened slowly at first, but I noticed that the quality of my work started to improve. I took ownership over my tasks and delivered them to the best of my abilities and at a quality that I promised. What surprised me most was that these performance increases weren’t just limited to my professional life but also my personal one. I found myself being a more dependable person. When I said I would do something, I’d make sure I did it as well as I could and in the timeframe I promised. I took accountability for my actions, mistakes and all. My desire to make Pass the Keys a better company every week influenced me to strive to improve myself every day. The main takeaway is this: whether you’re looking to buy from or work with a company, make sure to determine if they’re actually living by their core values before associating yourself with them. It’s easy to say that you care about the community, but it requires real dedication and commitment to follow through. Chances are, if a company is standing by its core values, they’re going to exceed expectations and ensure they’re doing everything they can to delight you. 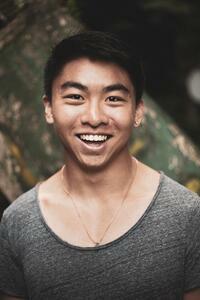 Meet Jonathan Ni, our Marketing Intern from the United States. He studies Marketing and Finance at the University of Pennsylvania and will be with us from June to August 2018.